Very simple story this week: last week's trends continued. 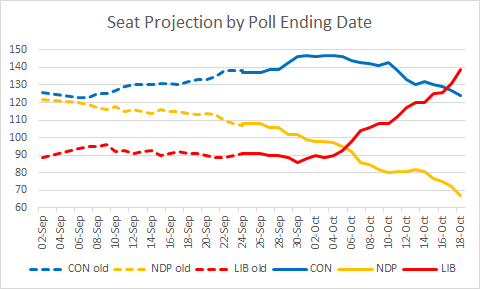 The dotted part of the seat projection graph refers to projections made without taking into account regional breakdowns and riding polls. As explained in this post and as can be seen from the graph, the net effect of including them was very small. 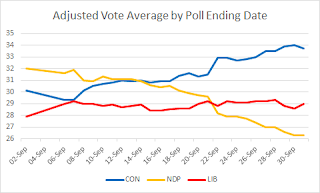 The NDP's drop in Québec is responsible for its losses this week. 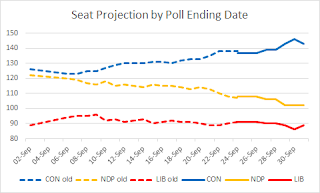 Up to now, these losses have been relatively slow, but if the NDP drops any further, the losses will come fast and furious. 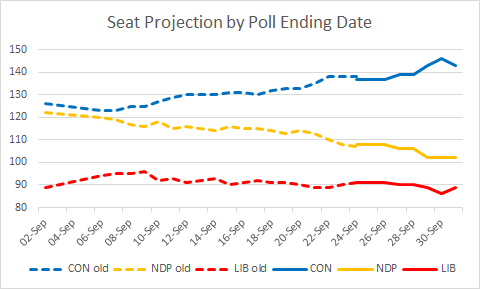 The main beneficiaries so far have been the Tories, who are now projected to win 12 seats in Québec, but the Bloc is approaching the zone where it would gain handsomely from a further NDP collapse. 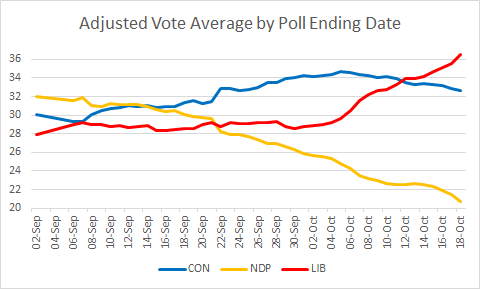 In terms of the popular vote, the Liberals are still hovering around 29% (30% unadjusted), while the NDP has dropped to almost 26% (27% unadjusted). 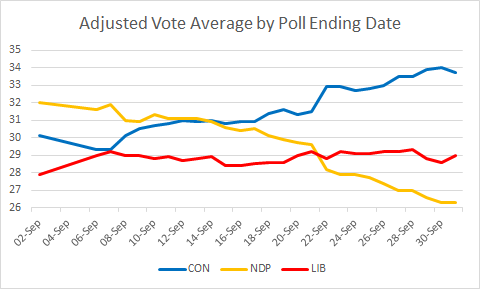 The NDP's focus at this point is probably to close the gap before Thanksgiving. 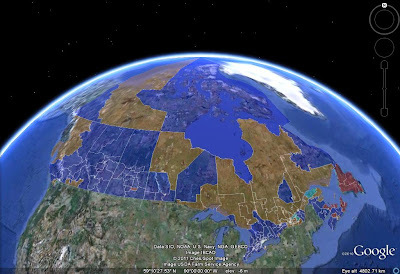 Otherwise, in the last week, there might be strategic movement toward the Liberals.